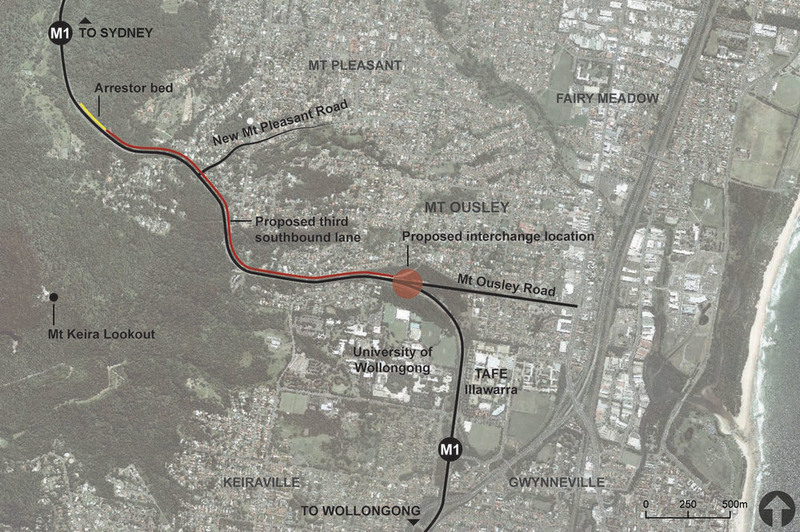 The M1 Princes Motorway/Mount Ousley Road interchange forms a primary entrance to the City of Wollongong. In addition to heavy traffic flows of light vehicles there is a constant flow of heavy vehicles passing through the intersection to gain access to the Port of Wollongong. 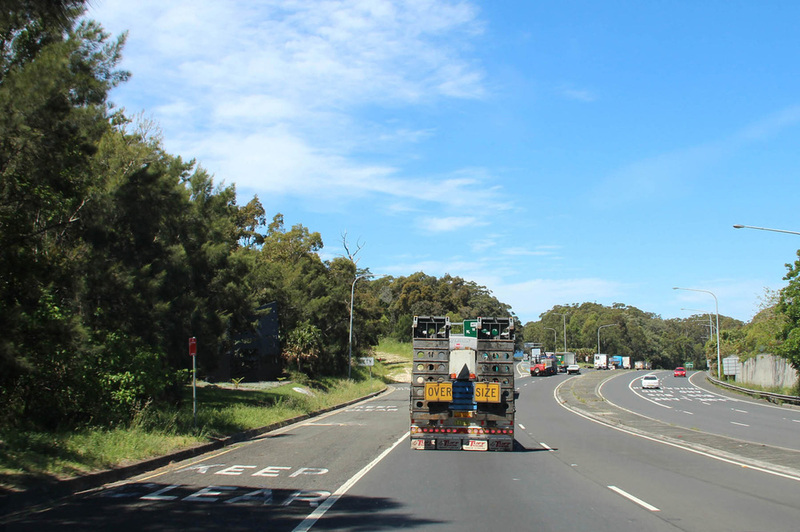 The conflict between trucks and passenger vehicles is exacerbated by the intersection’s location at the base of steep section of the Motorway that descends the Illawarra Escarpment. In response to the increasingly significant road safety issue associated with the interchange the NSW Roads and Maritime Services (RMS) undertook an investigation of the potential for development of a new grade-separated interchange that would allow vehicles to pass through the intersection without needing to cross the path of traffic moving in opposing directions. The investigation included a possible 2.5 kilometre long third lane along the southbound approach to the interchange. We were engaged by Jacobs to prepare a Landscape Character and Visual Impact Assessment (LC&VIA) Report of the proposed new interchange to form part of a Preliminary Environmental Investigation (PEI). A number of design options were prepared by RMS for the interchange upgrade with Jacobs responsible for preparation of the PEI. urban design study that placed the study area within the context of the City of Wollongong. It also defined the importance, role and function of the interchange as an urban gateway to the city of Wollongong. involved firstly determining the likely extent of visibility or visual catchment of the proposed grade separation structure and analysis of key view points. The potential visual impact of the upgrade works was assessed for the key view points. Possible mitigation measures were also identified as input to the design development process.